The form of a ship’s hull can determine the majority of its attributes; stability characteristics; resistance etc. 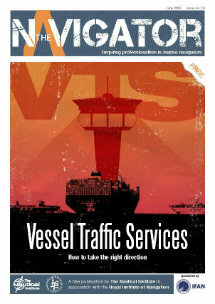 As a result the power needed for a certain speed can also be determined along with the ship’s seaworthiness; maneuvering capabilities and load carrying capacity. As it is shown on Figure 1 above three different lengths are used in order to define a ship. The Length Between Perpendiculars (lbp) which is the distance measured along the summer load waterplane between the aft and fore perpendicular. The aft perpendicular is taken at the aft side of the rudder post and the fore perpendicular ‘is the vertical line that intersects the forward side of the stem with the summer load waterline. 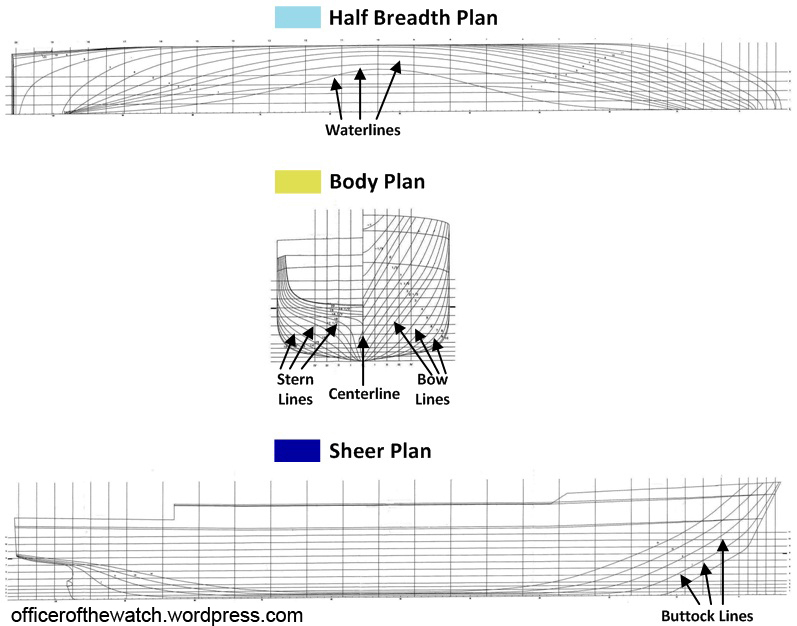 The Waterline Length (lwl) which is the length on the waterline where the ship happens to float. Moreover, in Figure 1 the After Sheer and the Forward Sheer are also shown. Sheer is the measure of how much a deck rises towards the aft and bow. It can be defined by the height of the deck at side which is above the deck at amidships. The mid-point between the perpendiculars is called amidships or midships. 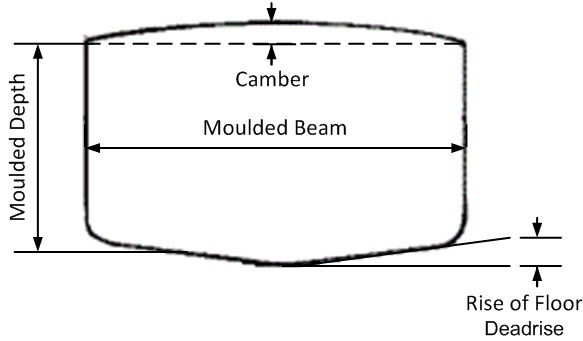 The Beam is usually quoted at amidships and is most commonly quoted as the Moulded Beam which is the greatest distance between the two sides of the ship at its greatest width of the chosen section, as shown on Figure 2 above. The measurement is usually done between the inside of the ship’s plating. Except for the Moulded Beam there is also the Breadth Extreme which is measured to the outside of the ship’s plating but and it may also take into account any overhangs or flare. The ship’s Depth, as displayed on Figure 2 varies along its length but is usually quoted for amidships. It can also be quoted Moulded Depth, which is from the underside of the deck plating. Camber is defined as the rise of deck as it can be shown in Figure 2. The difference between the draughts on the bow and the stern of the ship is called trim. Trim is said to be by the bow or by the stern depending upon where the draught is greater. The ship is said to hog or sag when the curvature is concave down or up respectively, as shown in Figure 3 below. 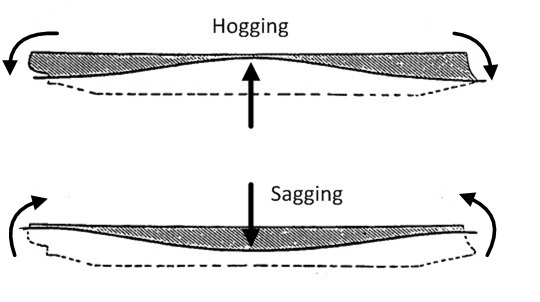 The amount of hog or sag is the difference between the actual draught amidships and the mean of the draughts at the fore and after perpendiculars. The shape of the hull can be defined by its intersection with three sets of orthogonal planes. 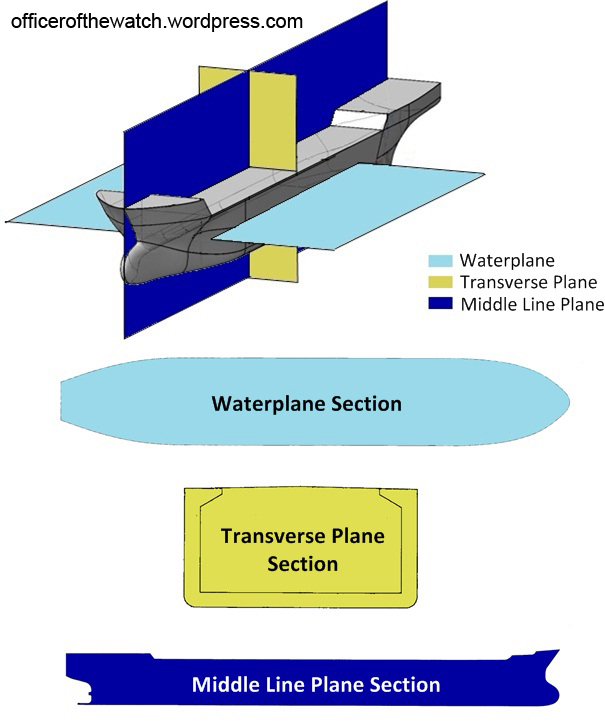 The horizontal planes which are known as waterplanes and their lines of intersection known as waterlines. The transverse sections are defined by intersections of the athwartships planes. The planes which are in parallel to the middle line plane and cut the hull in buttock lines, the middle line plane defines the profile. In the following Figure 4 the three orthogonal planes are displayed with three different colors along with the vessel’s section of each plane. The distances of the various intersection points from the middle line plane are called offsets. Coefficient of fineness of waterplane: A large waterplane coefficient in combination with a small block coefficient is favourable for the stability of the vessel. Longitudinal prismatic coefficient: This coefficient is important for the resistance of the ship and therefore it affects the power of propulsion needed. Vertical prismatic coefficient: A large value of vertical prismatic coefficient indicates will indicate body sections of U-form and a low will indicate V-sections. I have a doubt……does midship vary with waterplane or is it always the plane through the middle of perpendiculars? please reply through mail. Midship doesn’t change anytime. It’s always remain the same as the draft change. my concept is not clear about longitudinal cent.of buoyancy(LCB),LCF&LCG.